Built in 2010, Granite Ridge is situated in beautiful south Muskoka, accommodating both independent lifestyles as well as nursing care for assisted living, with a variety of suite sizes and styles to choose from. This home was specifically designed with seniors in mind and offers the best in security, fire response systems, and sprinklers. SENIOR PROM, opera night & more! Every month we schedule a Special Event, something a little extra for the residents. Delicious gourmet meals are prepared by our Red Seal chefs, with customized menus for special dietary needs. View menu. 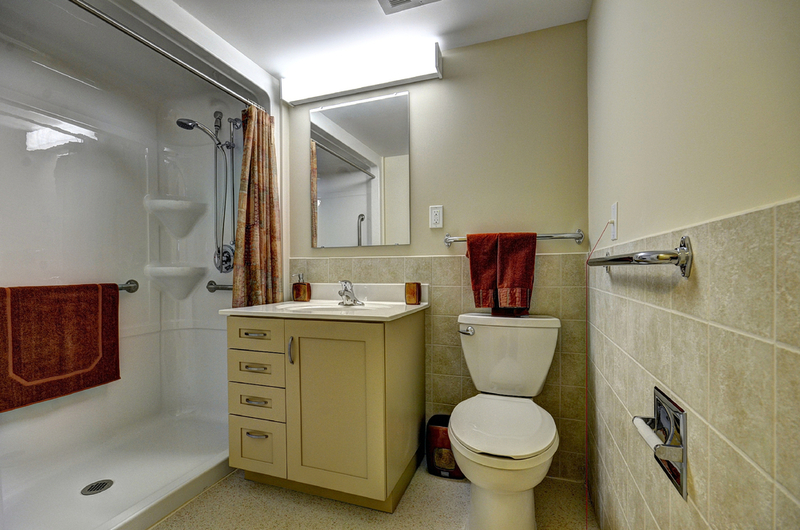 Our home offers a private spa room for residents who enjoy a long relaxing bath. Manicures, pedicures and hairdressing services can be arranged on a private basis through our front desk. There is a beautiful chapel located on our second floor for residents to use. Located in picturesque Gravenhurst – the gateway to Muskoka. Surrounded by cottage country beauty, residents are a short trip away from Downtown shopping, restaurants and a thriving weekly farmer’s market. The Gravenhurst Opera House showcases live theatre, music and dance. A mere 1km to Gull Lake Rotary Park, residents can take in the fresh air, enjoy a picnic, or the Annual Antique and Classic Car Show. This neighborhood offers all the perks of cottage life with the convenience of small town living.